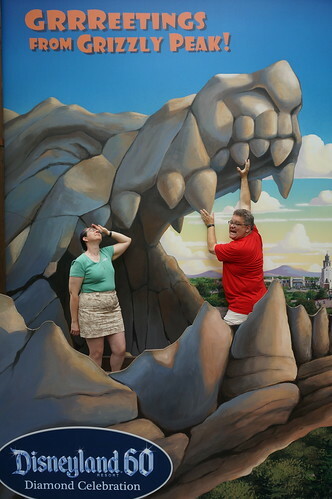 Tracey and Scott at Grizzly Peak! Scott fights against the fierce Grizzly Peak to order to save Tracey! 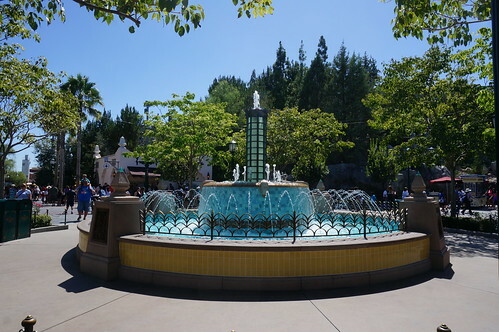 The Fountain in the center of Carthay Circle at Disney California Adventure. 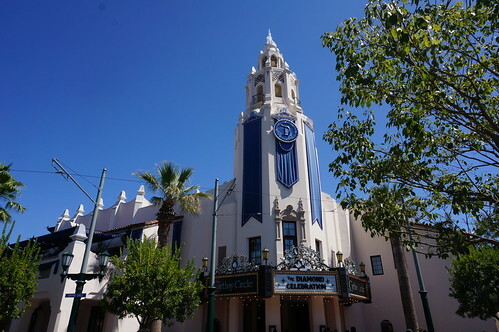 A replicate of the The Carthay Circle Theatre, which was one of the most famous movie palaces of Hollywood's Golden Age. The original opened at 6316 San Vicente Boulevard in 1926. 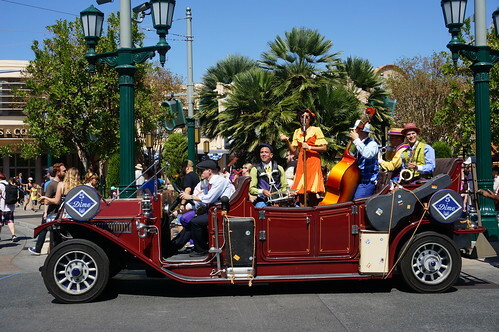 The theater was home to the world premier of Walt Disney's Snow White and the Seven Dwarfs. Hey all you Hep Kats! 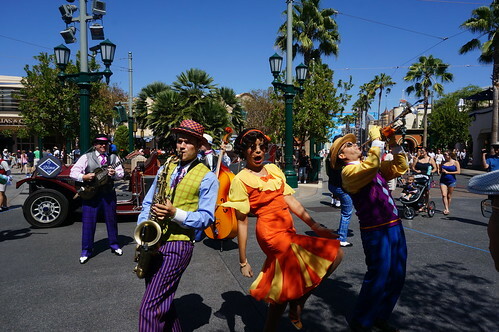 Have you heard about Five & Dime, that innovative sextet of maverick musicologists performing every day down on Buena Vista Street at Disney California Adventure park? 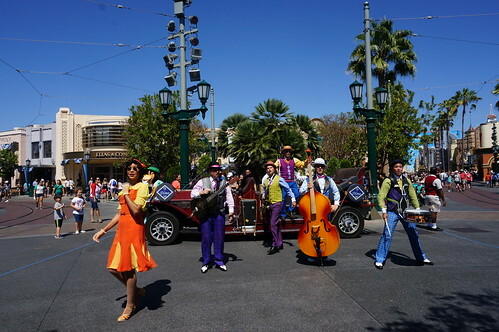 This group of working-class buddies hails from “Chi-town” – Chicago – and decided to hit the “Mother Road” – Route 66, that is – in search of their big break, just like that other fella from the Midwest, Walt Disney. 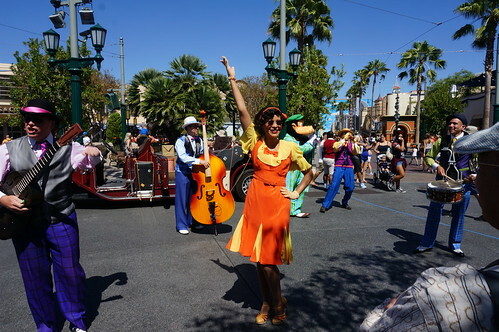 The young musicians arrived on Buena Vista Street, playing songs for anyone who would listen. That’s where they met Dime, singing at the Five and Ten and dreaming of being a star, and invited her to join the band. T-Bone, the guitar player, is the leader of the club and quite the ladies’ man. 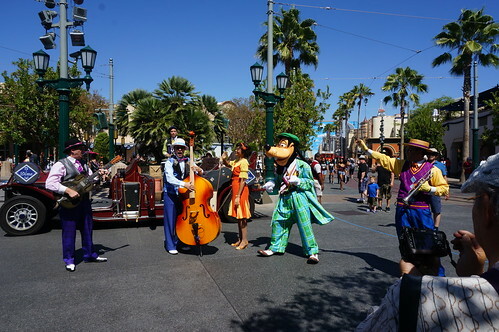 That’s Clyde on trumpet, Zoot on the saxophone and Baby hitting the drums. 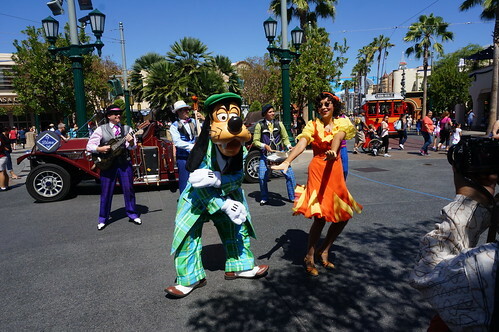 Finishing out the ensemble is Slam, the “Ace of Bass” himself. 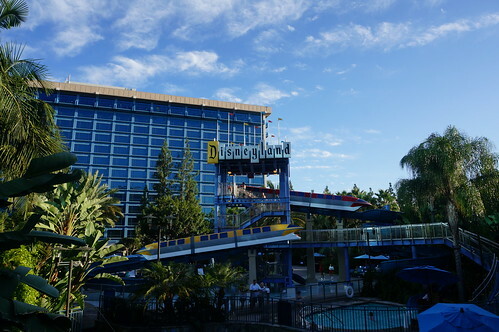 Disneyland Hotel water slides themed to the monorail system.